Sometimes church pews are in perfectly good condition but just need some freshening up. They might need new upholstery, cushions, and a new coat of paint but otherwise are in great condition. 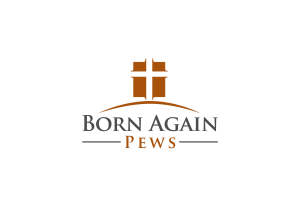 Born Again Pews refurbishes church pews to make them look as good as new and fix any minor problems that you might have with your church pews. If you’re thinking about whether you might be able to get by with refurbishing your church pews instead of buying new ones, give us a call and we can give you expert advice. If the church pews are made with veneers or out of low quality wood, you might have cracks, pieces of veneer missing, or problems with warping. Take a good look at all of the wood elements of your church pews for any signs of deterioration. You’ll want to get up close and personal with your church pews and inspect them for levelness and structural damage as well as unsightly damage. If you find that a lot of your church pews are damaged extensively or that low quality materials were used to make your church pews, it’s probably not worth restoring. Solid woods are the best bet for restoring church pews because they can be fixed more easily than other types of wood. By the point where your church furniture is showing its age, it’s likely that the upholstery is the first thing that’s noticeable. Many church pews need a full replacement of upholstery while others only need to be cleaned and spot repaired. The first step is to look closely at the upholstery and look for damage, like rips, tears, or holes. These might require complete replacement and because you’re unlikely to find an exact match for your upholstery that usually means replacing all of your upholstery. If the upholstery is in good condition, however, cleaning might be all that’s required. On top of the fabric, check the loft of your padding. Cushioning loses loft over time and it might be that you need new cushioning too. When it gets to the point where much of your church pews needs to be replaced, new church pews might be a better option. Call us for an estimate so you can compare your options for your church.